Upper level bordered all along its perimeter, completely made from AISI 304 stainless steel. Converging diagonal ribs. Basin mm. 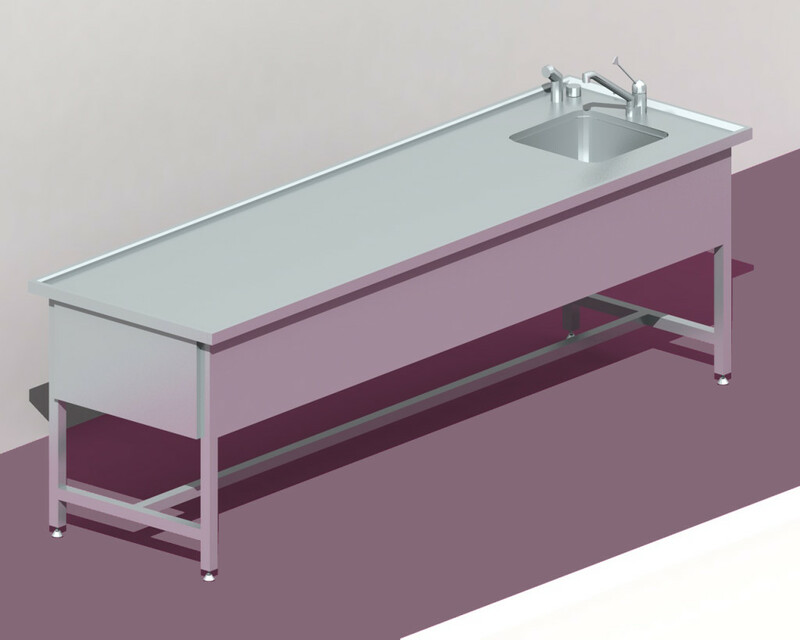 400x400x200 h. in size, equipped with hot and cold mixing tap, elbow operated. Drain and siphon. Extractable shower for flat washing. Frame in AISI 304 18/10 stainless steel. Square tube dimensions mm 40x40x1,5. Panels covering basin. Mounting on adjustable feet. Scotch brite finish. The company was founded in 1966 with the specific task of complementary businesses to large kitchens. In the early '80s, Metalarredinox obtained important contracts for the production of hospital equipment. Today, Metalarredinox is present in most hospitals, clinics and nursing homes of all Italian regions.